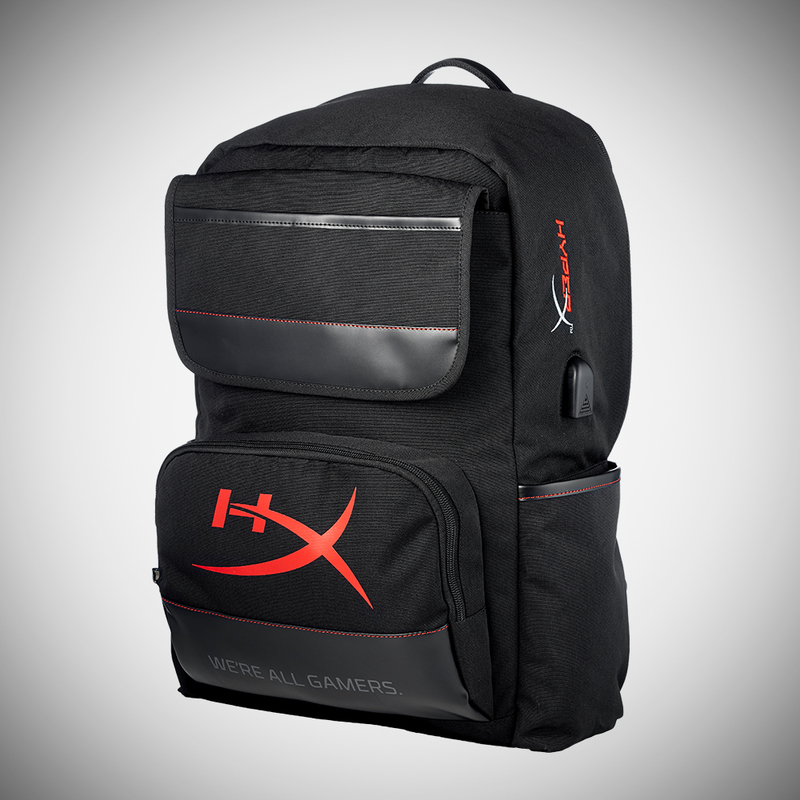 The HyperX™ Raider backpack is inspired by adventurers and explorers. There is more than a dozen rooms and compartments to fill up with loot and gear. To protect it, the HyperX™ Raider backpack uses an anti-theft pocket system with the heavy-duty zipper system against your back. Velour covered pockets for your keyboard which can be shortened or lengthened, depending on the size of your keyboard. When travelling, you can use the heavy-duty trolley strap to secure the backpack to the trolley handle. There is even a USB hub on the side of the backpack so you can charge your phone on the go. With the zipper against your back, you will never have to worry on crowded buses, trains or at events again. The external USB charger lets you plug in your phone for a charge. That way you never have to fight someone for an outlet on the train again. The front pocket for your keyboard is covered in velour to avoid scratches and be shorten or lengthen to fit every keyboard.